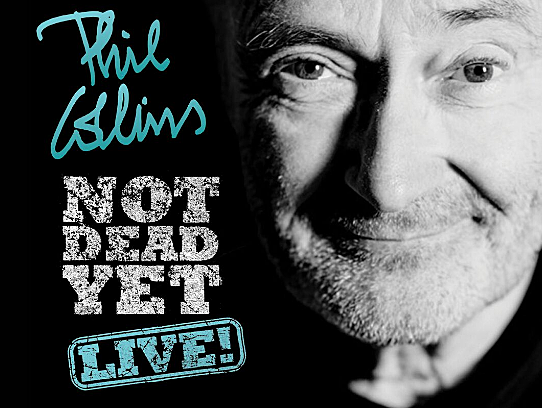 Phil Collins’ ‘Not Dead Yet’ tour is not dead yet, as he’s just announced new fall US tour dates — redubbed “Still Not Dead Yet” — kicking off September 23 in Dallas and running through October 19 in Las Vegas, hitting Tampa, Atlanta, Detroit, Pittsburgh, NYC, Denver, San Francisco and more. The NYC show happens at Madison Square Garden on October 6. 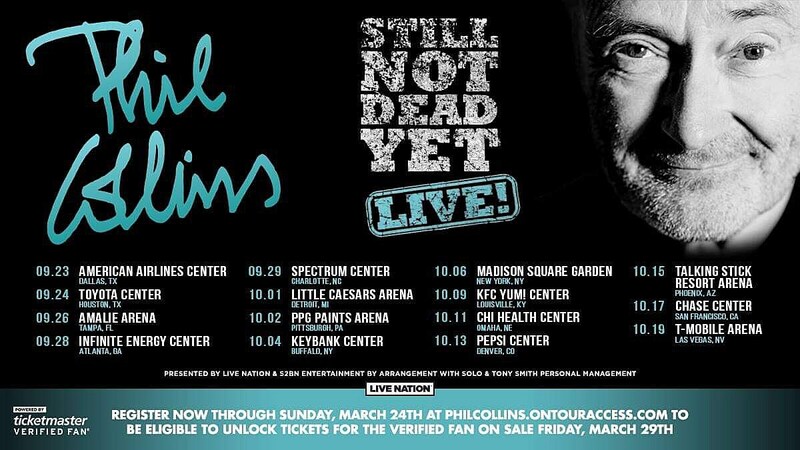 Tickets for the whole tour go on sale Saturday, March 30 at 10 AM local time with a verified fan presale starting March 29 at 10 AM local time.